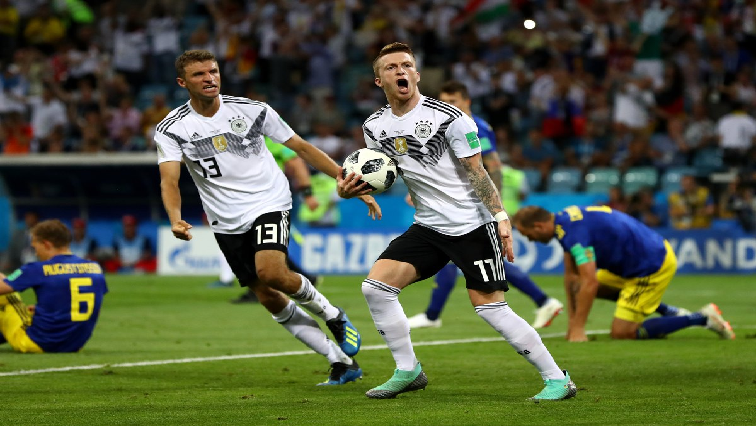 New-look Germany face first big test against Holland - SABC News - Breaking news, special reports, world, business, sport coverage of all South African current events. Africa's news leader. Marco Reus is expected to return to the starting line-up, along with Real Madrid midfielder Toni Kroos on Sunday in Amsterdam. Marco Reus has called on Germany to win back the trust of their fans when they launch their Euro 2020 qualifying campaign against old rivals the Netherlands on Sunday. Germany were booed by fans in Wolfsburg during their 1-1 friendly draw against Serbia last Wednesday, and Reus has said that it is up to the players to change the mood. “We need patience from the fans, but it is our job to make sure the atmosphere improves,” he said on Friday. Germany has not won a competitive game since they beat Sweden at the World Cup last summer. They crashed out of the World Cup shortly after that game, and were relegated from the top tier of the Uefa Nations League in the autumn. Coach Joachim Loew declared the beginning of a “new era” last week, having brought in several young players and made the controversial call to drop three experienced stars in Thomas Mueller, Mats Hummels and Jerome Boateng. “We are all ambitious enough to want to win every game, but it won’t just start working from one day to the next,” he said. “I am at an age where I have to take on leadership roles, both here and at my club,” said the Borussia Dortmund star. Reus is expected to return to the starting line-up, along with Real Madrid midfielder Toni Kroos on Sunday in Amsterdam. He warned that the Netherlands were a step ahead of Germany at the moment. Oranje captain Virgil van Dijk was on the scoresheet with a header, and Germany’s Niklas Suele has identified the Liverpool defender as a threat. “We can’t allow him space to run onto headers,” said Suele, who watched van Dijk do just that when Liverpool knocked Bayern out of the Champions League earlier this month. “It is always a special game, partly because of how close we are geographically. As a boy, I used to go on holiday with my family in Holland, and I grew up with the rivalry. We will be really motivated on Sunday. It’s going to be a fiery game,” says Germany and Bayern Munich midfielder Leon Goretzka. This entry was posted on 23 Mar 2019,07:01PM at 7:01 PM and is filed under Sport, Homepage Latest Stories Slider. You can follow any responses to this entry through the RSS 2.0 feed. Both comments and pings are currently closed.